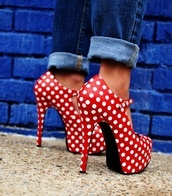 Red heels are hot, there is no doubt about it. Dorothy went head to head with a witch to protect her ruby slippers in the Wizard of Oz and Marilyn Monroe famously sported a pair in Gentlemen Prefer blondes. They are classy, glamorous and the perfect way to inject some color into a look. 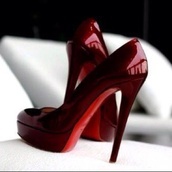 The choice of red heels is extensive. There are kitten heeled pumps, classic neon red retro stilettos, bow embellished court shoes and glitter clad heels that sparkle. These shoes do not blend into the background, they steal the show and they do it in true Hollywood style.